Special SEC Now Highlights SEC Network’s Championship Presence Surrounding NCAA Women’s Final Four - ESPN Press Room U.S.
SEC Network will have full coverage of the NCAA Women’s Final Four featuring live reporting from Columbus, Ohio and Starkville, Miss. Peter Burns will anchor the network’s coverage originating in Charlotte with Dari Nowkhah and Nell Fortner on site from Nationwide Arena. In addition, several of the sport’s brightest stars will join the network’s programming in the coming days to provide perspective on what it takes to perform on women’s college basketball’s biggest stage. 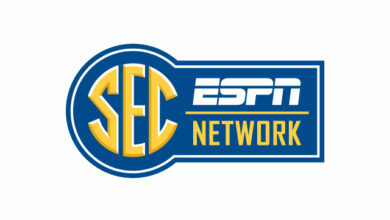 A special pre-game edition of SEC Now will air live at 6 p.m. ET Friday, March 30 ahead of the semifinal matchup between the Bulldogs and Louisville at 7 p.m. on ESPN2. Post-game analysis and insight from Columbus, Charlotte and Starkville will be part of Friday’s post-game SEC Now at 10 p.m.
Three-time SEC Player of the Year and South Carolina’s all-time scoring and blocks leader A’ja Wilson is slated to join Nowkhah and Fortner live on site Thursday from Columbus during SEC Now. Former Mississippi State center Chinwe Okorie will support SEC Network’s studio shows starting Thursday, March 29 from Starkville. Okorie is scheduled to appear on The Paul Finebaum Show on Friday and SEC Now Thursday and Friday, including reporting live from Mississippi State’s official watch party at Bin 612 Friday evening. SEC Network women’s basketball analyst and former Tennessee Lady Vol standout Andraya Carter will be part of SEC Network’s digital coverage this weekend as SECNetwork.com provides exclusive content from the festivities around Columbus. For more information on ESPN’s complete coverage of the Women’s Final Four, please click here.